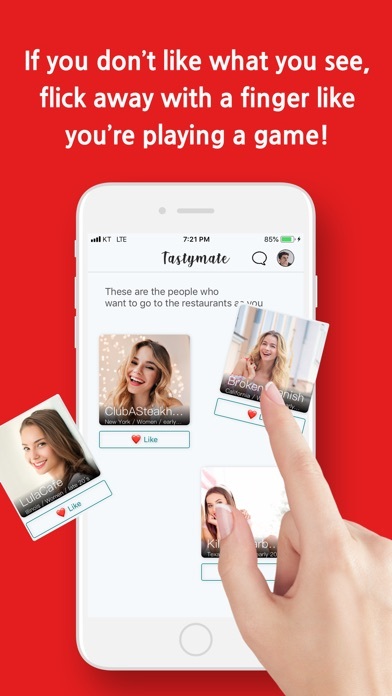 If you want to meet new people in the restaurant you want to go to, networking, make local friends in a fine restaurant while traveling, or just have a good day, please try to use Tasty Mate. 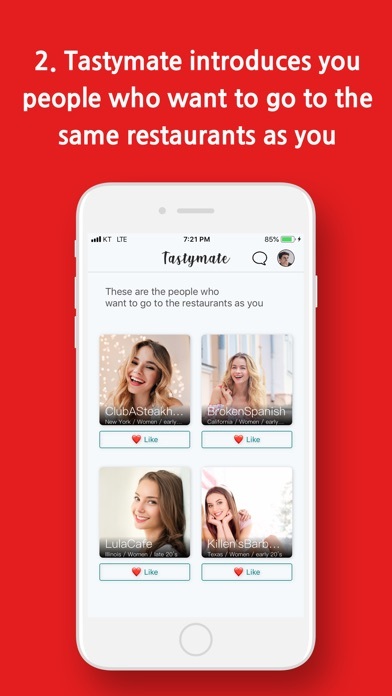 Tasty Mate introduce you new friends who have similar taste of restaurants for free. If you like, press the [Like] button! 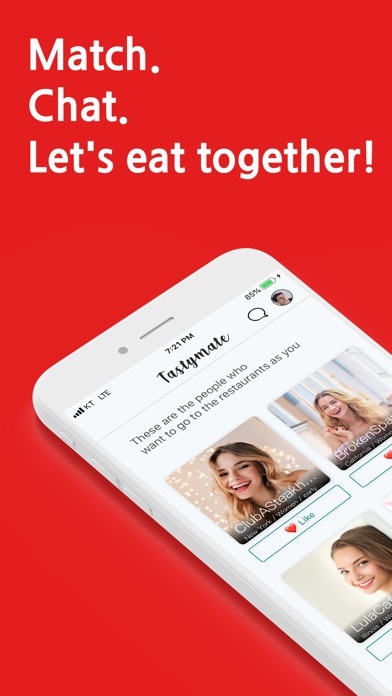 If you do not like it, swipe left or right. If you press the [Like] button to each other, It’s a Match! 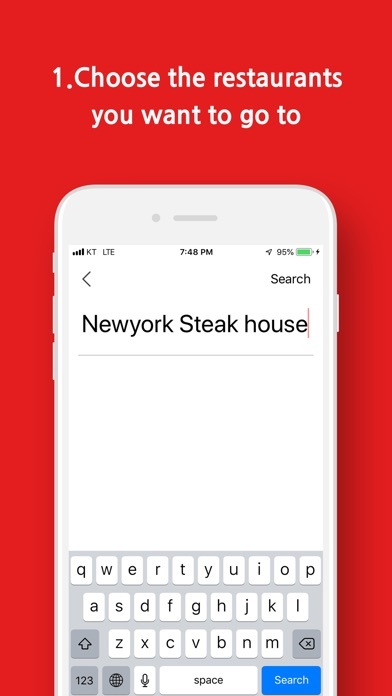 You can get unlimited information about various restaurants around you, and you can get very useful information. 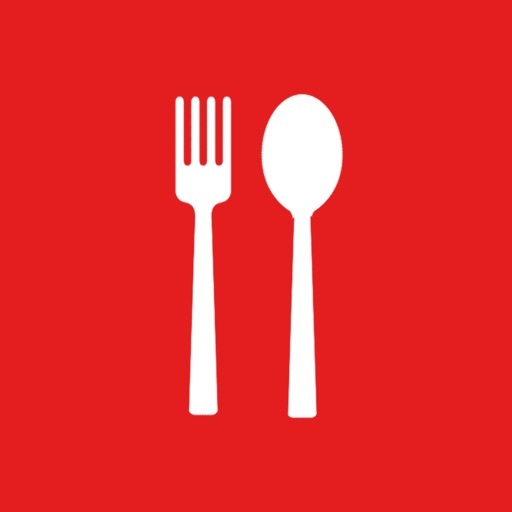 We introduce new friends unlimitedly who have the same taste of fine restaurants with you. We provide a live chat with attractive friends for free. With premium invitation service, your invitation message will be exposed to the opponent firstly, so the probability of matching is high. Oh My Photo : Real-time deletion of sent photo !